Miniature characters There are 62 products. 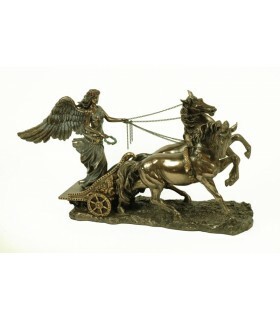 Greek figure of the goddess Nike, or Victory mounted Nice wagon. Dimensions: 31 x 14 x 17 cm. 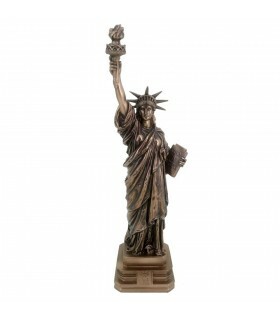 Figure of the Statue of Liberty. Made of resin. Measurements: 9 x 9 x 31 cm. 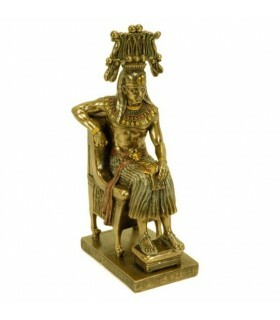 Figure crowned Egyptian Pharaoh in his throne. Made of resin. Dimensions: 7 x 10 x 22 cm. 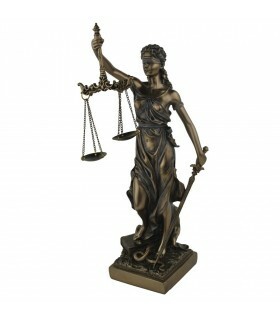 Figure of Themis, the Greek goddess of Justice large tamaño.- Dimensions: 24 x 30 x 66 cm. 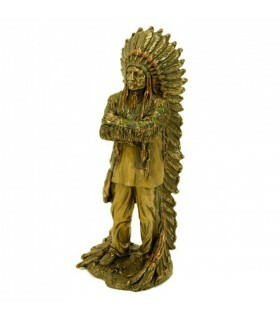 Ideal to place as decoration on law firms and lawyers in general. In Greek mythology, Themis is mentioned by Hesiod between six brothers and six sisters children of Gaia and Uranus. 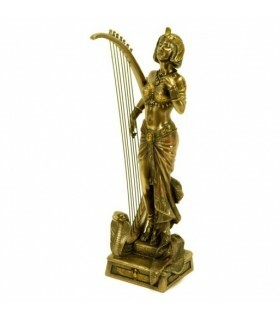 Resin figure of Aphrodite, the goddess of love in Greek mythology. Dimensions: 12 x 8 x 32 cm. Aphrodite, in Greek mythology, the goddess of love, lust, beauty, sexuality and reproduction. 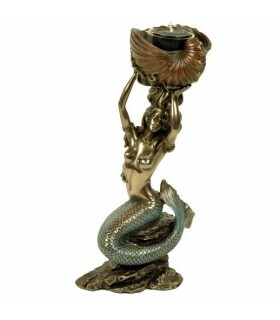 Figure Greek God of the Sea Poseidon 30 cms. Figure of the Greek sea god Poseidon made of resin. Dimensions: 31 x 17 x 30 cm. 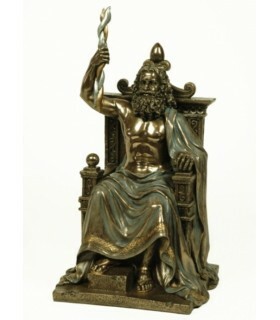 Poseidon is the god of the sea, storms and as Earth-Shaker, earthquakes in Greek mythology. 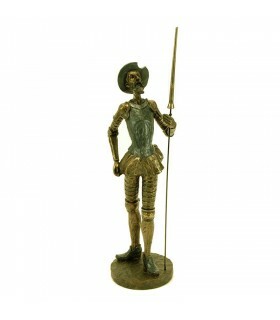 Don Quijote figure painted with a height of 26 cms. 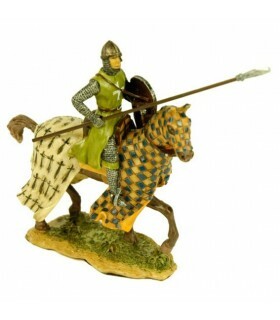 ideal gift for Spain or the best memories of your stay in Spain. 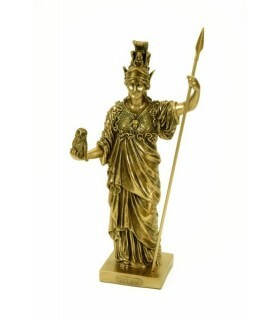 Figure of the goddess Athena in Greek mythology. Made of resin. Dimensions: 15x13x33 cm. 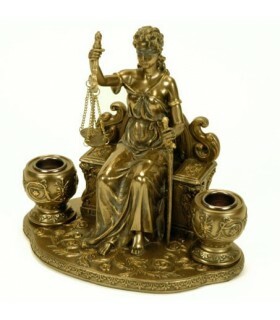 Figure, holders of Themis, the Greek goddess of justice. Made of resin. 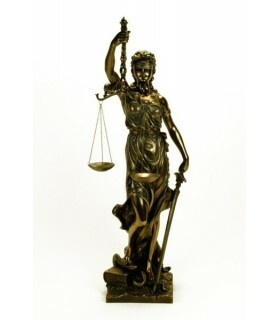 Dimensions: 18 x 12 x 17 cm.Ideal to place as decoration on law firms and lawyers in general. In Greek mythology, Themis is mentioned by Hesiod between six brothers and six sisters children of Gaia and Uranus. Miniature of King David of Israel. Made of resin. 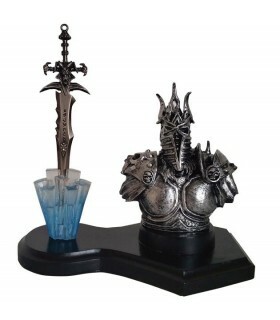 Dimensions: 12 x 8 x 26 cm. It was an Israelite king, successor of King Saul and the second monarch of the Kingdom of Israel. 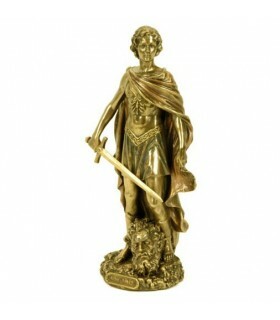 Figure of Chronos, the Greek god of the zodiac and the Ages. Made of resin. Dimensions: 13 x 12 x 27 cm. 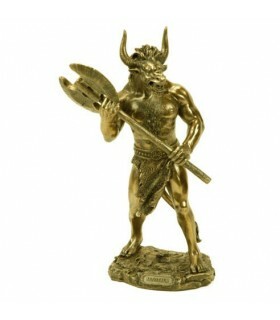 Figure Greek Minotaur.In Greek mythology, monster with the body of man and head of a bull. Locked in a maze designed by Daedalus, he was killed by Theseus.Made of resin. Dimensions: 15 x 12 x 28 cm. 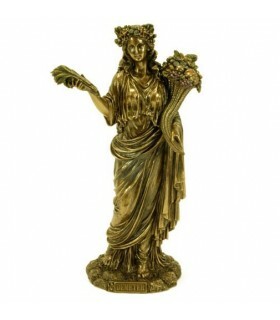 Figure of the Greek goddess of agriculture Demeter, protector of marriage and sacred law. Made of resin. Measures:Span>16 x 10 x 31 cm. 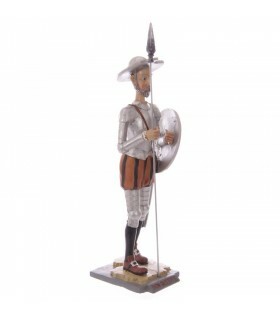 Figure of San Juan made in resin. Measures: 12 x 9 x 22 cm. 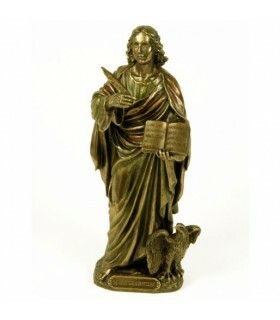 The Apostle John the Evangelist is the conventional denomination of the author of the Gospel of John. 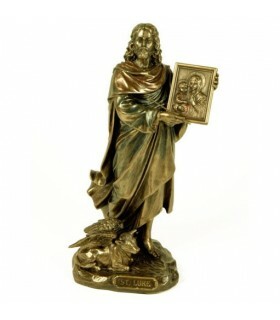 Figure of Saint John the Baptist made in resin. Measures: 12 x 9 x 22 cm. The Apostle John the Baptist was an itinerant preacher considered a prophet by all these confessions and several branches of Christianity have proclaimed him holy. 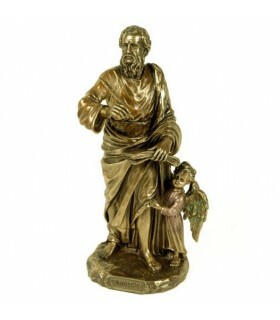 Figure of Saint Luke Evangelist made of resin. Measures: 12 x 9 x 22 cm. Luke the Evangelist is considered by the Christian tradition as the author of the Gospel according to Luke and of the Acts of the Apostles. 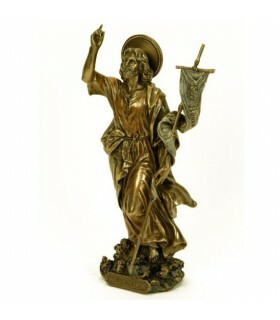 Figure of San Mateo Evangelista made in resin. Measures: 10 x 9 x 20 cm. Matthew the Evangelist was one of the twelve apostles chosen by Jesus of Nazareth. The Christian tradition attributes to him the authorship of the Gospel of Matthew. 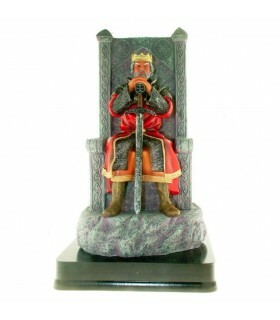 Miniature of King Arthur sitting on the throne with his sword. Manufactured in resin. Height: 23 cms. 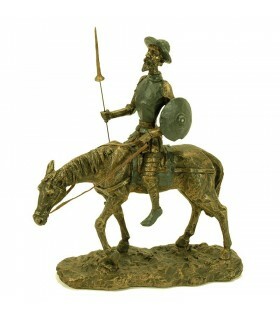 Figures of Don Quixote and Sancho Panza riding made of resin. Dimensions: 14 x 11 x 17 cm. 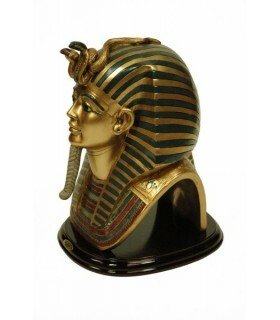 Mask of Tutankhamun Egyptian figure. Dimensions: 20 x 22 x 28 cm. 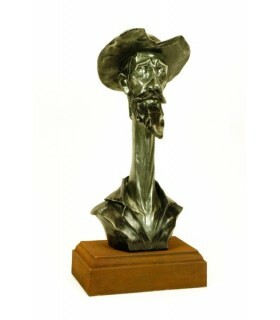 Figure bust of Don Quixote on wooden base. Dimensions: 17 x 13 x 35 cm. 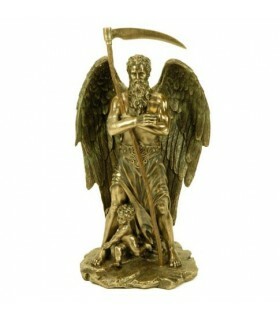 Figure Asclepius, god of medicine, 32 cms. 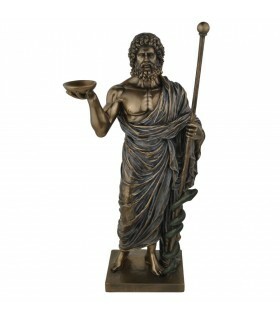 Resin figure of the Greek god Asclepius of medicine and healing. Dimensions: 15 x 10 x 32 cm. Aesculapius or Asclepius or Aesculapius for the Romans, was the god of medicine and healing, venerated in Greece in several sanctuaries. 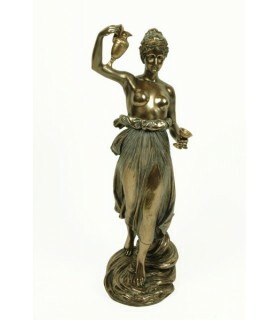 Figure Greek Hebe, 31 cms. Hebe figure made of resin, which according to Greek mythology was the personification of youth and responsible for providing the nectar of the gods. Dimensions: 11 x 11 x 31 cm. 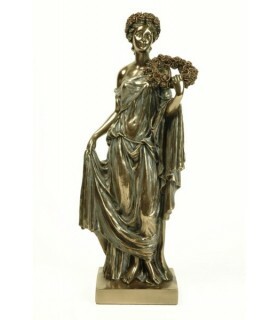 Figure of Themis, the Greek goddess JUSTICE Dimensions: 11 x 12 x 32 cm. 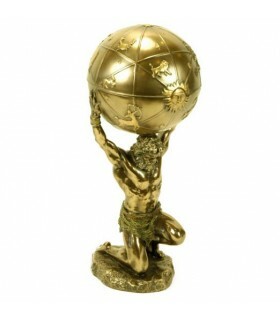 Ideal to place as decoration on law firms and lawyers in general. In Greek mythology, Themis is mentioned by Hesiod between six brothers and six sisters children of Gaia and Uranus. 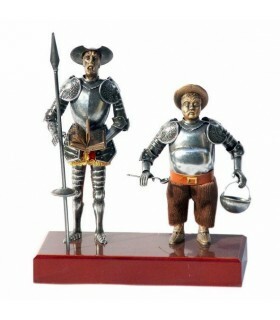 Figure Don Quixote and Sancho Panza, 24 cms. 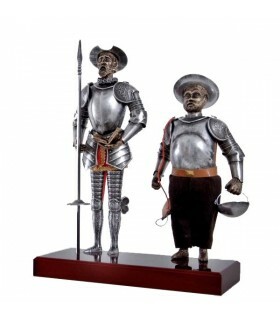 Figure Don Quixote and Sancho Panza, 42 cms. 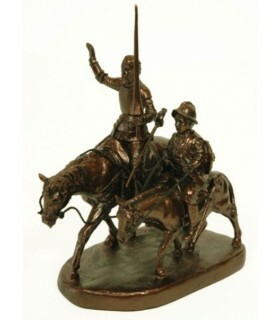 Figure of Don Quixote and Sancho Panza with wooden stand. Fig measures are 30 x 14 x 42 cms. The trusses are made of metal, and the faces of the characters are hand made resin. figurehead of the sword Excalibur protected by the dragon. Made of resin. Size: 20,5x13,5 cms. 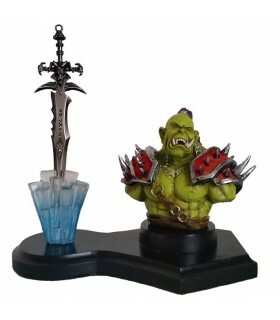 Figure Lich King Worl of Warcraf with his sword. Size: 18x12x18 cm. 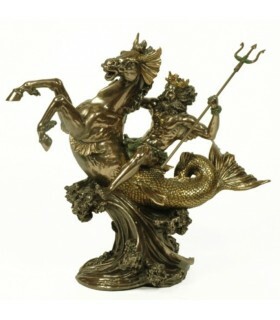 Figure holders mermaid. Made of resin. Dimensions: 14 x 10 x 28 cm. 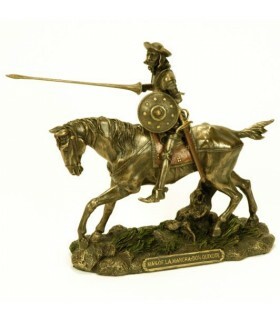 Miniature Templar warrior on horseback. Made of resin. Measurements: 9 x 5 x 10 cm. 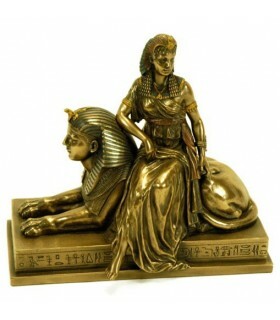 Figure of the goddess of war in ancient Egypt, Sekhmet. Made of resin. Measurements: 8 x 8 x 21 cm. 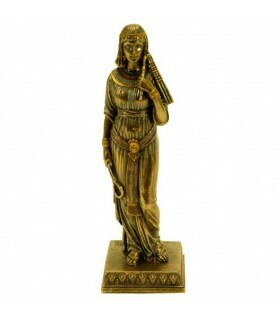 Figure of the Goddess of Egypt Cleopatra fiddling. Made of resin. Size: 8 x 11 x 27 cm. 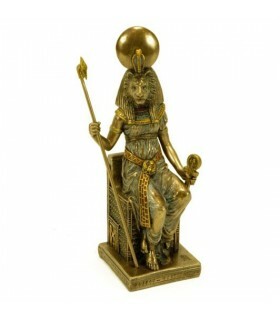 Figure of the Goddess of Egypt Cleopatra lying. Made of resin. Dimensions: 23 x 9 x 14 cm. 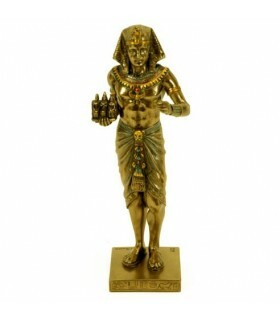 Egyptian pharaoh figure with triad. Made of resin. Dimensions: 7 x 7 x 21 cm. figure of Nefertiti on Egyptian sphinx. Made of resin. Dimensions: 24 x 13 x 23 cm. 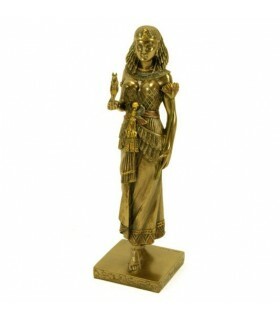 Egyptian Queen figure. Made of resin. Dimensions: 7 x 7 x 21 cm. 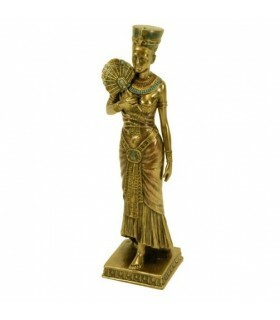 Figure Egyptian queen with fan. Made of resin. Measurements: 6 x 6 x 21 cm. 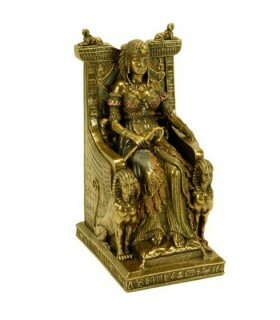 Figure Egyptian Queen on her throne. Made of resin. Dimensions: 11 x 14 x 23 cm. Figure Greek God Atlas, with box. Made of resin. Dimensions: 13 x 32 cm ø.
Miniature God Cupid and Psyche. Made of resin.Playing the famous sculpture by Antonio Canova. Dimensions: 29 x 17 x 26 cm. 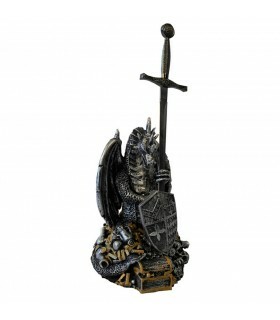 official figure of Dragon Rhaegal of the Game of Thrones series. 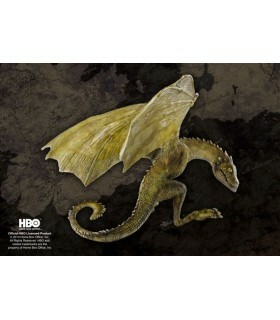 Rhaegal is one of the 3 dragons Daenerys, named in honor of his brother Rhaegar Targaryen. This covered des green scales and their eyes are bronze color. Sculpture finely finished and hand painted. It measures 11.5 cms.